Boccia (you say it bot-cha) is played by two teams on a court. The aim? Score as many points as possible by landing their set of coloured balls closest to the white target ball (also called a jack). Balls can be thrown, rolled or kicked. Sometimes it’s called a disability sport, as it’s played sitting down, but that doesn’t mean you have to be a disabled person to join in and have fun! The great thing about it is that people of all ages and abilities can play. So if you want to try something new where you don’t have to be super fit or run around, we've got-cha...try boccia! Anyone can play, so you might meet people of all ages and walks of life! You just need to bring yourself dressed in normal sportswear – comfortable clothes and trainers. Everything else will be provided by the session – so just turn up! 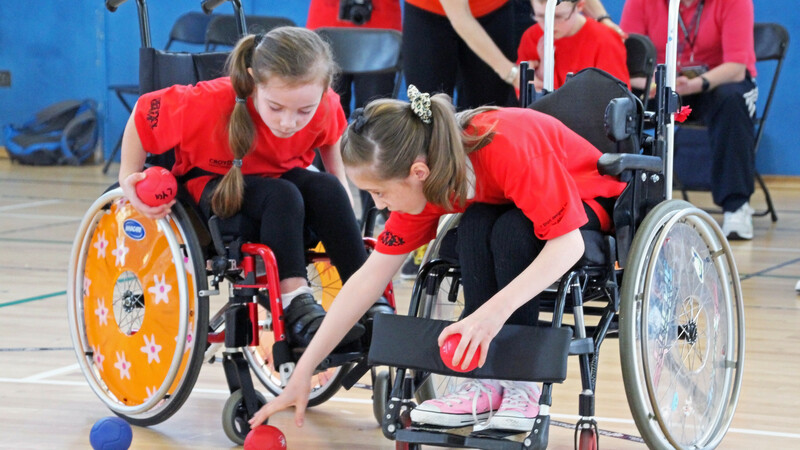 If boccia is the sport for you, why not check out Boccia England’s website to browse more info.